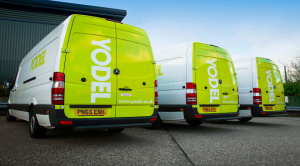 UK independent parcel carrier Yodel, has announced the launch of a bespoke semi-automated sort, designed to revolutionise the handling of large, out of gauge and delicate parcels. The new state of the art system, dubbed Merlin, has been installed at Yodel’s Wednesbury sort centre and is capable of processing bulky or delicate parcels, which have previously had to be sorted by hand. The new system is a bespoke design developed by Yodel, costing over £1 million, and replaces two manual sorting carousels. Sitting alongside the larger fully-automated sort at Wednesbury, Merlin can handle items up to 1.8m long and up to 0.9m wide. It is capable of processing up to 2,500 metre-long items per hour and will greatly enhance the speed and efficiency of the out of gauge parcel sorting process. Merlin’s automation will also ensure that clients and customers benefit from greater visibility and traceability of their parcels throughout the network. Items that previously had to be manually sorted will now be automatically scanned, weighed, volumised and photographed as they pass through the system and are sorted to Yodel’s nationwide network of customer delivery depots. 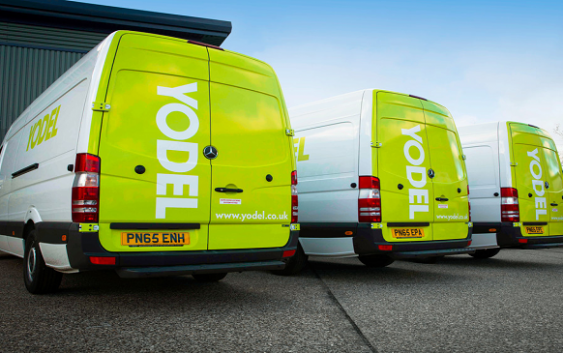 Furthermore, the new system will also be directly linked to Yodel’s billing systems to enable speed and accuracy of invoice processing. Bulky, out of gauge, non-machinable or ‘ugly traffic’ are just some of the terms applied to irregular shaped items, such as flat pack furniture, car exhausts and ironing boards, which usually require manual handling. According to Apex Insight these items currently represent 5% of the market by value. The process of sorting by hand slows down the transit of goods through the network, therefore reducing the number of parcels that can be sorted in peak periods and increases the risk of damages and mis sorts due to human error. One of Yodel’s three central sort centres, Wednesbury is now capable of handling around 17,000 parcels an hour. The items arrive from retailers’ warehouses and are then sorted at Wednesbury before being redistributed to Yodel’s 47 customer delivery depots around the UK, and then sent out for onward delivery to customers.